Sharing Time! | Mrs. Anton's Class! Yesterday was the last day of Project iPad! To celebrate our journey we hosted an open house for our parents. We had a stellar turnout! Lots of parents and even grandparents came to see our project and we had a great time sharing our learning with them! 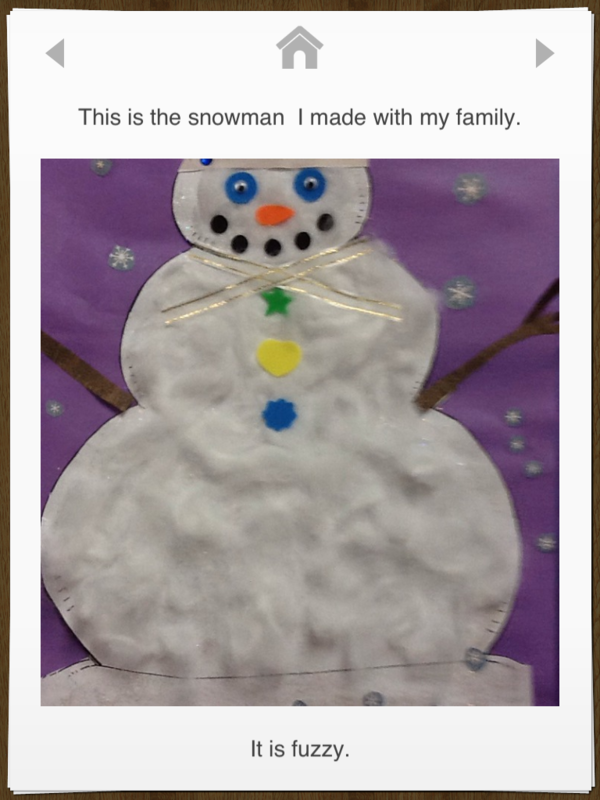 The children have worked hard on a Pictello book about the snowman they created with their families. The books are very cool but what really makes them special is that each child narrated their own stories. Listening to them read their stories themselves always brings a smile… I have managed to load all the stories onto the Pictello server. I will be emailing the corresponding codes as soon as possible. 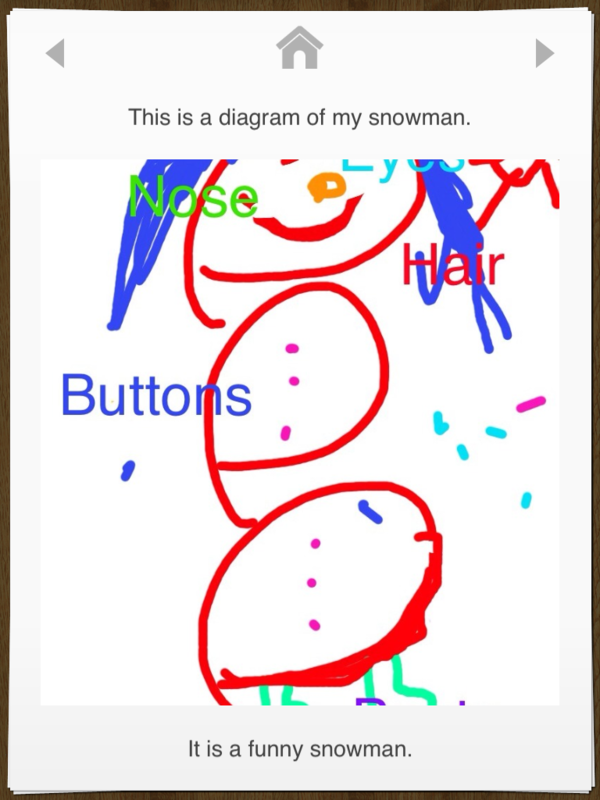 If you have an iPad and the Pictello app loaded on your ipad you will be able to download your child’s story and keep it! I have also downloaded a PDF file for each book that will be going out via email as soon as possible. Unfortunately the audio component is not part of this file. But you will still have all the pages for the book! It takes a little time to copy in all those email addresses so please be patient! To begin our celebration we viewed a little movie that I was able to create on a neat product called PhotoStory3. 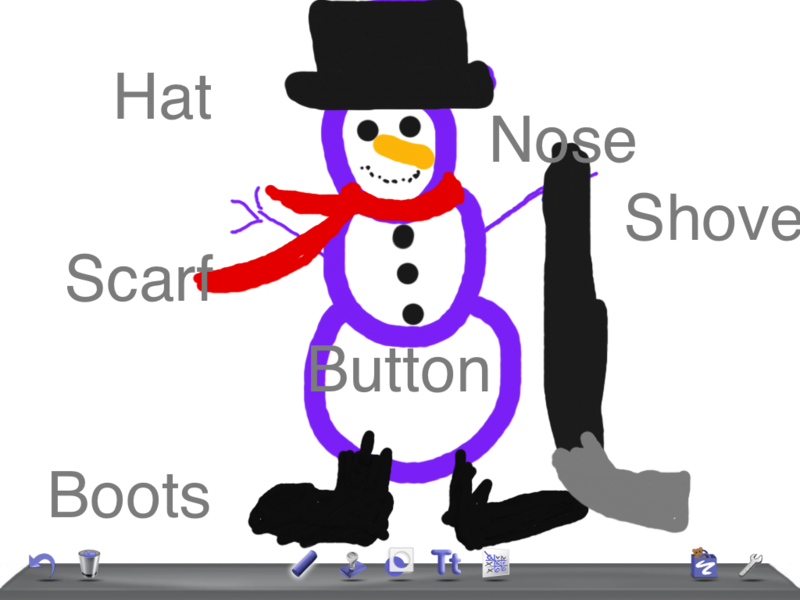 This program lets you take the photographs that you have taken and put them all together into a slide show. You can add comments and put it all to music for a really cool finished product. I had used it before for our school mural project so this time I found it a little easier to put together. Not such a steep learning curve this time! The children loved seeing all their projects and it was fun listening to their reactions as they took a trip down memory lane! Apparently it is possible to email the photostory. I will have to try that! Then the children shared their stories with their parents. I hope they enjoyed them as much as I did! Then the children taught their parents how to use the iPads. 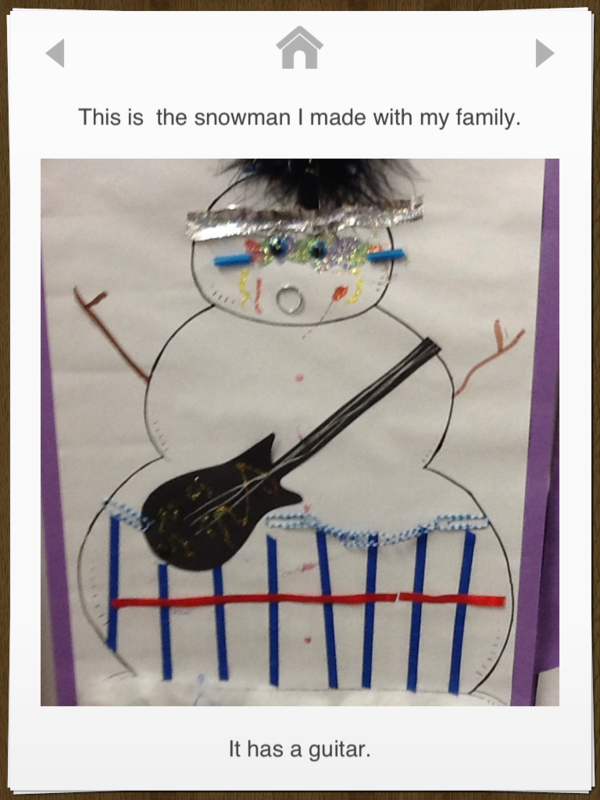 We gave the parents the snowman labelling project to attempt. They were great students!! Here are some of their attempts! 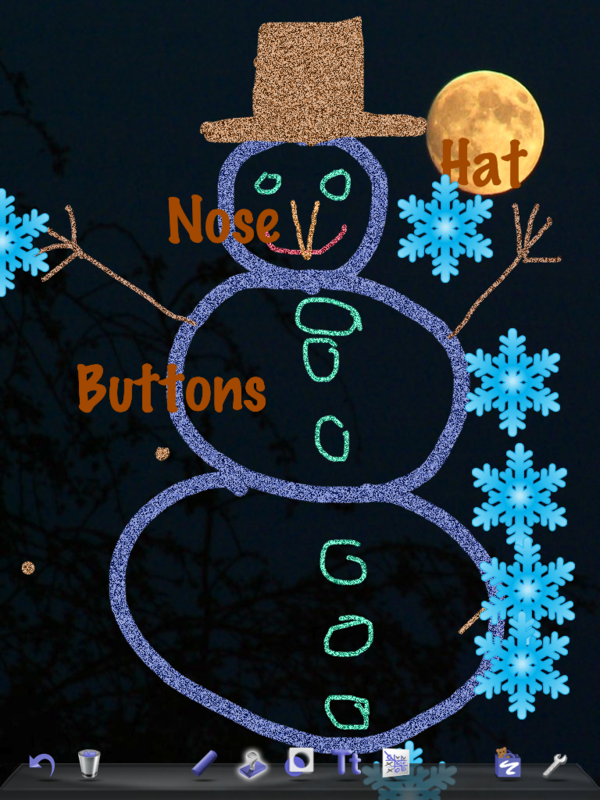 I had so many neat snowmen that I will have to save some for future posts! The children also got to share their favourite apps with their parents. It is difficult to decide which one would be their favourite. They certainly seemed to enjoy them all! 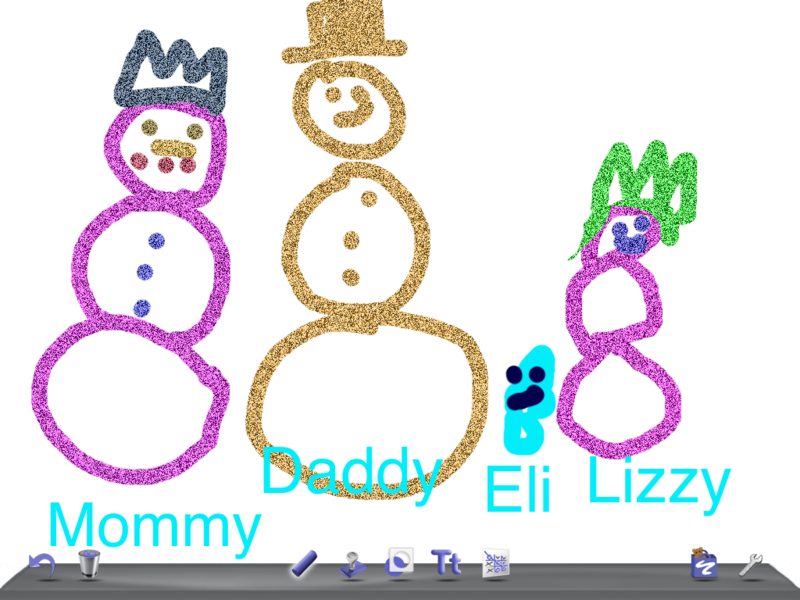 We also repeated our buddy picture project with the parents. The parents and students took a picture of themselves using the camera. Then they imported the picture into the Puzzlemaker app, created a puzzle using that image, and then proceeded to complete the puzzle. The forty five minute long Open House time just flew by! I would like to thank the parents and extended families for coming! There were lots of adults so every child got to share their story with someone and no one felt left out! I know it is very difficult to come in the middle of the day to an event. Please know that it was greatly appreciated by both the students and myself! After school I had to drop the iPads off so that they could move on to the next lucky school… What a great experience we had with them! I know that we will really miss them. I am hoping to continue to explore the use of the iPad in the classroom albeit on a significantly smaller scale! We will continue to try to find ways to use it in the classroom and hopefully continue to share these efforts on our blog…. So please stay tuned!